The first time you choose a bearing catalog, it can be intimidating and confusing. The catalog can seem to be written in a secret code, with a series of letters and numbers that are unknown to anyone who hasn’t chosen a bearing before. This blog post will help you crack the code and understand how to get the most from your bearings. Rolling bearings are designated by codes that indicate the construction, dimensions, tolerances, and clearances of each bearing. Tolerance is the limit of random (unintentional) deviation of a dimension from its nominal value. Allowance is the amount of designed (intentional) deviation between two mating dimensions in a fit, which, in combination with their respective tolerances, results into a maximum and minimum clearance or interference. The codes in a bearing catalog can include any or all of these three parts: the basic code, prefixes, and suffixes. The basic code tells you what kind of bearing it is and its bore diameter (diameter of the inner ring). Prefixes indicate basic components in the bearing, and suffixes indicate any special characteristics or designs. The basic code consists of the bearing series, which indicates the type of bearing, and the bore number, which specifies the bore diameter. The bearing series can be made up of letters and/or numbers that designate the construction, diameter series, and in many cases the width series. Table 1 shows the bearing series for the most common bearing types. The bore number indicates the bore diameter. See Table 2. If the bearing code only contains the basic code and doesn’t include any prefixes or suffixes, it means that it is a normal bearing with normal standards of form, precision, and clearance. Prefixes refer to basic bearing components. Common prefixes are shown in Table 3. Suffixes indicate bearings with special characteristics or designs, including special outer forms, cages, precision tolerances, clearances, and other characteristics like heat treatment and noise behavior. The most common suffixes are described in the tables below. For bearings with both special precision tolerance and special clearance, the suffixes are combined. For example, the suffix for a bearing with tolerance P6 and clearance C3 is P63. At Emerson Bearing we are here to help you find the bearing you need. 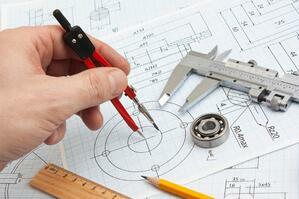 We have years of experience and we are available to help you with all your bearing needs. For more information visit our Catalog and Technical Toolbox webpages, or contact us today.